Know Atwater Class of 1965 graduates that are NOT on this List? Help us Update the 1965 Class List by adding missing names. AHS Class of 1965 invites Atwater High Alumni to help us celebrate on Oct. 9th at the Atwater Community Center @ 6pm, cost is $40 per person for the reunion evening. This is AHS's Homecoming weekend so there will be a parade & football game on Friday night. Stay tuned for more info. Our Class of 1965 has always had an unique camaraderie and cohesiveness. This year, 2012, the Atwater High School Class of 1965 members born in 1947 (most of us) will turn 65. Have you signed up forMedicare yet? In 2007, twenty members of the Atwater High School Class of �65 joined together for a fun communal 60th birthday party in the Palm Springs desert (as we were turning 60-the new 40, so said). This January, several classmates suggested for another party to celebrate our milestone 65th birthdays -- rather than commiserate. The party is a GO!! We are at 26 confirmed attendees with others �working on it� and counting! The where is beautiful Carmel-by-the-Sea, California. The when is the weekend of May 19, 2012!! The "events" are from Friday, May 18th through Sunday, May 20th. We are organizing an informal gathering on Friday evening, May 18th at a place yet to be determined. Open for breakfast and lunch on Saturday. Tom Kincheloe has set up a golf outing for those interested for a noon tee time, Saturday, May 19th at Laguna Seca Golf Course. It�s a great price at $57.00 per player, which includes cart. Tom has 3 foursomes reserved. Contact Tom at *****@pacbell.net. Our Saturday evening get-together will be in the Vinoteck Banquet Room at the Forge in the Forest. A four-course buffet (three entrees) is planned with a cash bar and passed hors d�ouevres (pupus in Hawaiian). Price around $65.00 a person (sounds appropriate). Given our history with previous get-togethers, on Sunday, May 20th, something impromptu is likely to take place. There is plenty of golf, shopping, art, music, history and a just plain wonderful atmosphere. Though May is normally a very slow time in Carmel, the weather is usually very good. This year, the Carmel Art Festival and the Castroville Artichoke Festival are also happening the weekend of May 19th. Lots of reasons to make the trip, as if our companionship alone weren�t sufficient enticement. Arrangements have been made for discounted rates at The Hofsas House Hotel (not hospice). The phone number is (831) 624-XXXX . Secret Code is: '65 turns 65. The Hofsas House Hotel is located at San Carlos & 4th, three short blocks to Ocean Ave. There are 5 reserved rooms remaining at the discounted price. Please contact The Hosfas House if this interests you. The remaining reserved rooms are being held until the first week of April. Carmel has many delightful accommodation choices. For other options check out the Carmel Chamber of Commerce. The Cypress Inn is dog friendly, (800) 443-XXXX . The Pine Inn is right on Ocean Avenue, (800) 228-XXXX . Unfortunately, La Playa is closed for major renovation. In any case, Happy Birthday and which Medicare Plan are you choosing? Class reunion Sept. 12 APC Hall 6pm. Spread the word! Reunion Sept. 12 APC Hall Atwater 6pm, spread the word! More info to follow. 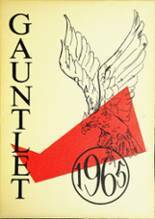 More 1965 alumni from Atwater HS have posted profiles on Classmates.com®. Click here to register for free at Classmates.com® and view other 1965 alumni. Alumni from the Atwater High School class of 1965 that have been added to this alumni directory are shown on this page. All of the people on this page graduated in '65 from Atwater . You can register for free to add your name to the AHS alumni directory.